Complimentary provisions include an organic tea selection, coffees, sugar, milk, bread, flour, biscuits, rice, herbs, salt, pepper, oil, balsamic vinegar and all the practical things you might need like glad wrap, foil, and baking paper. 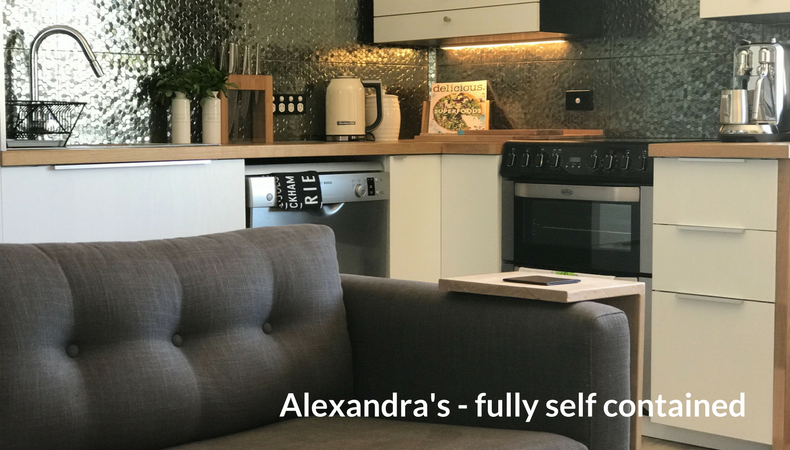 A perfect getaway for couples, friends or business travellers, Alexandra’s is a tastefully designed, contemporary and spacious apartment with two living/sitting areas that encompass the ground floor of a dwelling in which we live upstairs. 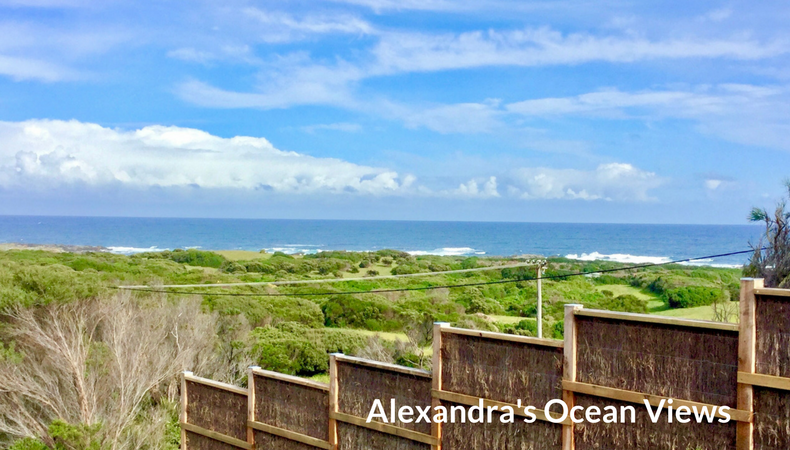 With your views of the Great Southern Ocean and the iconic Currie Lighthouse, which is only a 300 metre stroll. 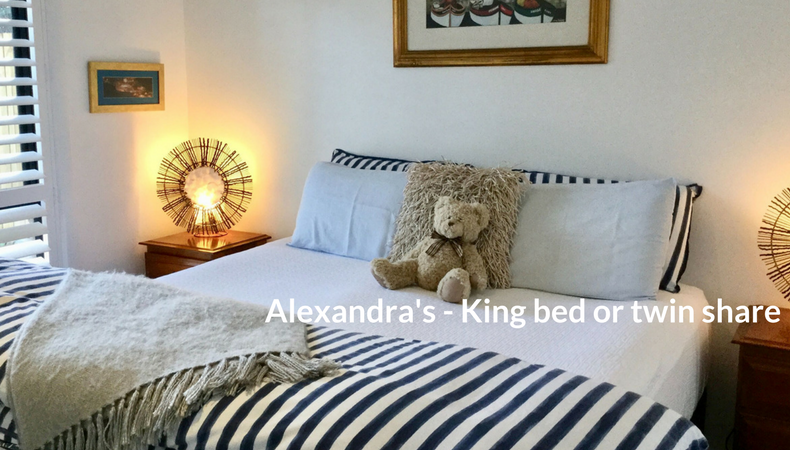 This property is fully self contained with everything you will need for your stay. Being so close to the waterfront, the sights and sounds of the ocean dissolve away any worries or stresses. This luxuriously appointed apartment invites you to sit, relax and and take it all in. Everything you need for seaside relaxation and exploration is at your fingertips. You have your own access and complete privacy. The property is an Ecofriendly solar passive design, with a rain water system, solar power and solar hot water. 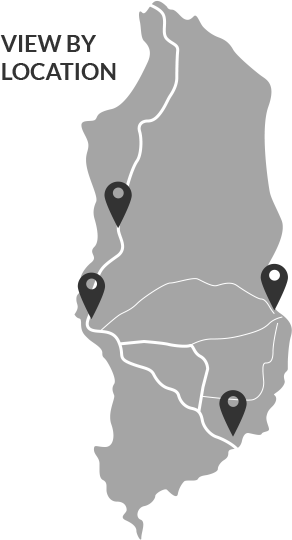 Generous complimentary supplies awaits you and includes includes quality amenities and every convenience to ensure you enjoy a comfortable ‘home away from home’. The clever layout ensures magnificent views from your kitchen and living area and whether it be preparing meals in the stunning kitchen, lazing in one of the two well appointed living areas, relaxing out on your outside area or lazing in any of the two bedrooms, you will feel very much relaxed.